Matte lipsticks have a reputation for drying out your lips, but M.A.C. 's next lipstick line seems like it's formulated specifically to combat that stereotype. The company just announced Powder Kiss, and the lipstick's biggest selling point seems to be that, despite its powdery-matte finish, it's extremely moisturizing. Or, as one M.A.C. store's Instagram account put it, "Did you ever think a matte lipstick could feel like a lip balm?" M.A.C. 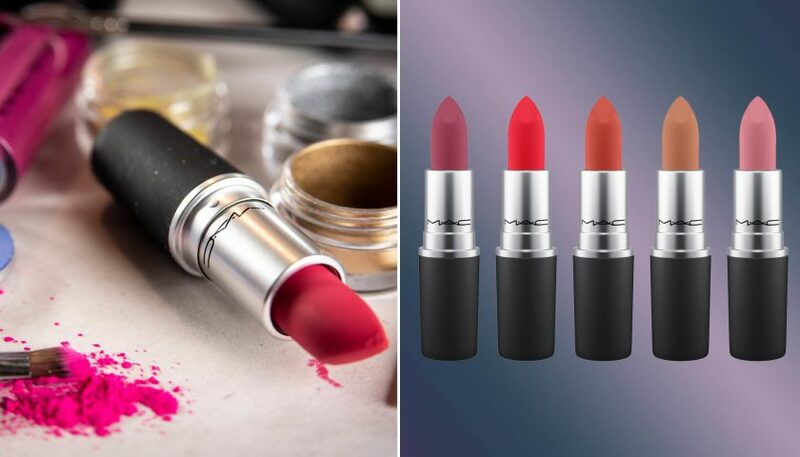 's official Instagram account described it as a "weightless moisture matte lipstick for a kiss of soft focus colour" on an Instagram Story, while another M.A.C. store's post promises "softly blurred lines." Although it won't be released until October, it made the rounds backstage at New York Fashion Week, with M.A.C. boasting on Instagram that it's "backstage tested" and "artist approved." Makeup artists across the pond will get to test it out as well, with M.A.C. also announcing that it will be backstage at London Fashion Week. Some other details: The Powder Kiss lipsticks will come in 16 shades, and it looks like the official North American release date is October 11, according to MAC's own comments on its post. Another comment from M.A.C. said that the lipsticks are permanent and not limited-edition, so it looks like Powder Kiss is here to stay (once it gets here, of course). M.A.C. isn't the only brand with a matte lipstick that doesn't dry out. Bobbi Brown's Creamy Matte Lip Color, formulated with shea butter, is an Allure favorite, while Pat McGrath Labs' new Lust MatteTrance lipstick is getting rave reviews for its weightless creaminess — and also drawing quite a few comparisons in M.A.C. 's Instagram comment section. What really sets this new Powder Kiss Lipstick apart, however, seems to be how easy it will make it to achieve the soft-focus effect seen on so many recent runways. "The trend is really about, a soft tint on the lips, a moisturizing matte," Ashley Rudder, M.A.C. director of digital content and artistry, said in a press release. "You get the beautiful matte texture with no weight and tons of comfort."